One thing that I really enjoy about the Art Bead Scene's monthly challenges is the fact that they are well...a challenge. And some are more then most. With this month's inspiration the first thing that came to mind was how muted the colors are. And then with the next breathe , I thought of a focal that I have that would work perfectly. And of course, I couldn't find it. In fact, there are a couple from this artist that have just disappeared so I am going to have to do a search but that won't happen before this challenge ends. So I went and dug though my other art beads and pulled out a couple. 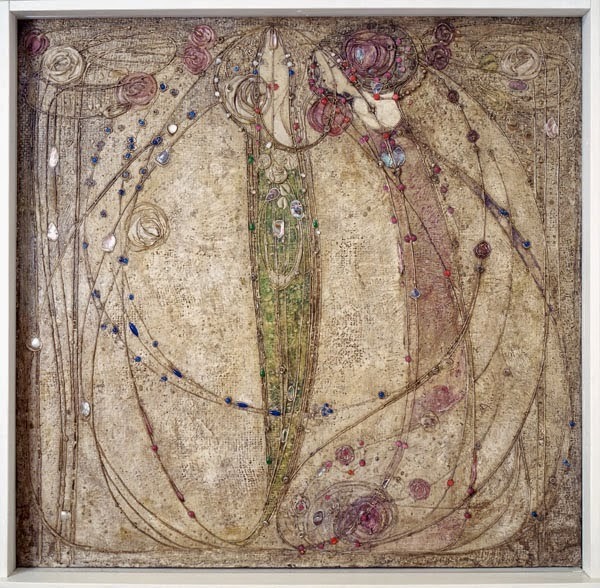 The one that I finally decided upon pays tribute more to the name of this beautiful piece then the actually painting itself though there are roses there also. This beautiful focal and the ceramic beads are from Golem. 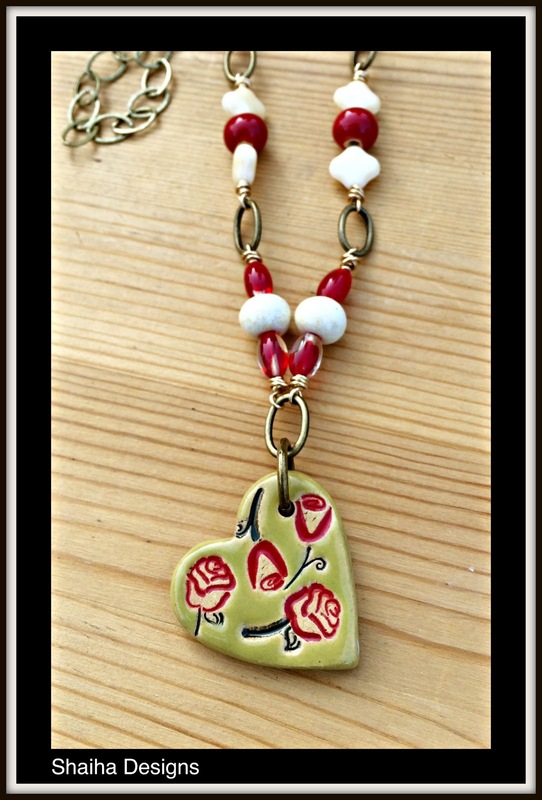 I finished out the necklace with some Czech glass beads, brass wire and aged brass chain. Definitely not what I had in mind originally but I like it. This necklace is for sale here. Hello Again Art Bead Scene! I'm glad you decided to take this challenge even though you didn't find the pendant you originally intended to lose. 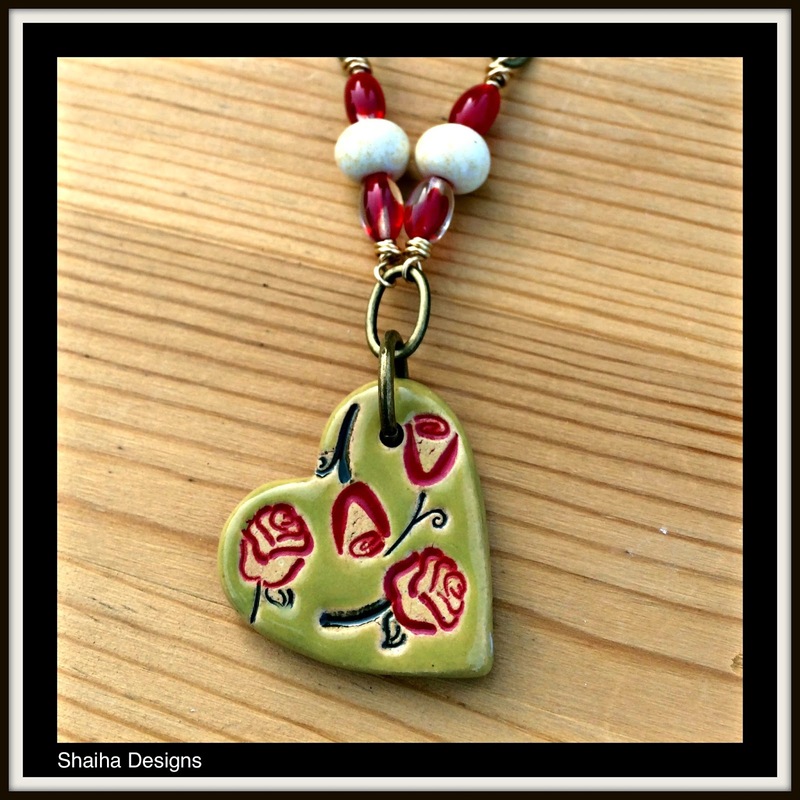 Your necklace is very pretty and works well for the inspiration piece with the red roses! It works! I hope you find your missing items. But then if you had this piece may not have been created. Wonderful depiction of the title and the roses in the painting.